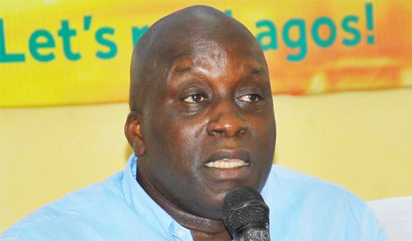 The Lagos State Government on Friday confirmed the death of Mr Deji Tinubu, the Special Adviser on Commerce, Industry and Cooperatives to Gov. Akinwunmi Ambode. The government, in a statement by the Commissioner for Information and Strategy, Mr Kehinde Bamigbetan, expressed shock and disbelief’ over the sudden death of Tinubu. According to Bamigbetan, Tinubu, a soccer fan, slumped while playing five aside match with fellow participants at the ongoing retreat of members of the State Executive Council and permanent secretaries in Epe. “Doctors and nurses rushed to give him first aid and he was immediately taken to the General Hospital, Epe, where he was confirmed dead. “An autopsy is expected to be carried out while burial arrangements will be announced by the family. “We are still in shock. All of us at the state executive council are in disbelief, we shall miss him,” Bamigbetan said. He described the deceased as a good and committed patriot who brought his passion to his job and a gentleman who maintained excellent team spirit. Bamigbetan said the government had reached out to his immediate family to commiserate on the huge loss to the family and the state. According to Bamigbetan, the late Tinubu was the son of late Kafaru Tinubu, one of Nigeria’s foremost police officers. The deceased is survived by an aged mother and wife. Tinubu was sworn in as Special Adviser on Sports and Chairman of the state’s Sports Commission in October 2015 and was recently moved to take up his new portfolio.